Harry Reynolds of Sarasota, Florida and Richard Hodges of the U.K. challenged you to identify the original owner of "The Beast" (not the Black Beast) which was used as a tow-car at the 1951 Bridgehampton Races. Five years ago, VanderbiltCupRaces.com posted a film of the 1951 Bridgehampton Races. This rare 16-mm film was provided by Walter McCarthy and the Long Island Old Car Club and had not been seen for over 25 years. 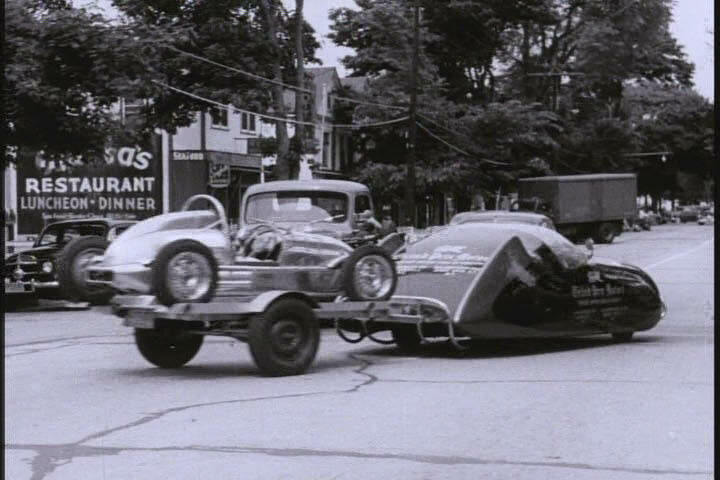 Back in 2009, Harry Reynolds, author of the book Formula III Racing in North America, identified the tow-car's owner in 1951 as Charles (Chuck) Kotchan towing his Effyh for the Bridgehampton Race. Harry continued to research the car known as "The Beast" and attempted to discover the original owner. The answer was provided by Richard Hodges of the United Kingdom. -Who was "The Beast" originally built for? 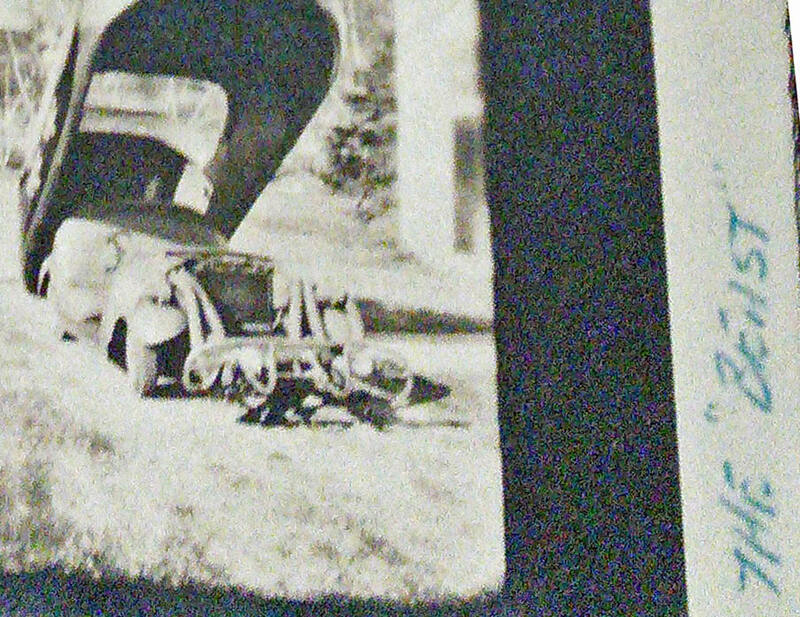 Harry C. Reynolds: "I asked some time ago about the strange little car that appears at the very start of the 1951 Bridgehampton video. An answer arrived today from Richard Hodges in the U.K. 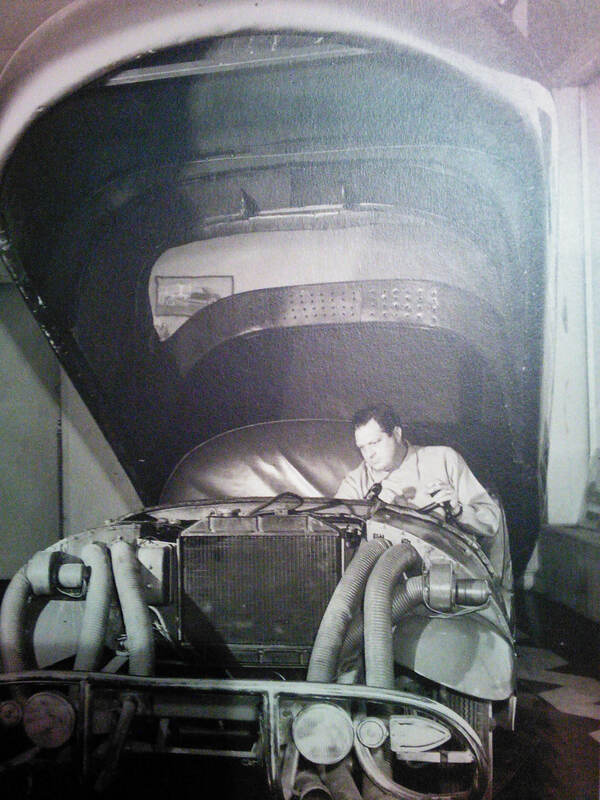 He says the car was built for Russ Case and was based on Jeep running gear." -What was the original nickname for the car? 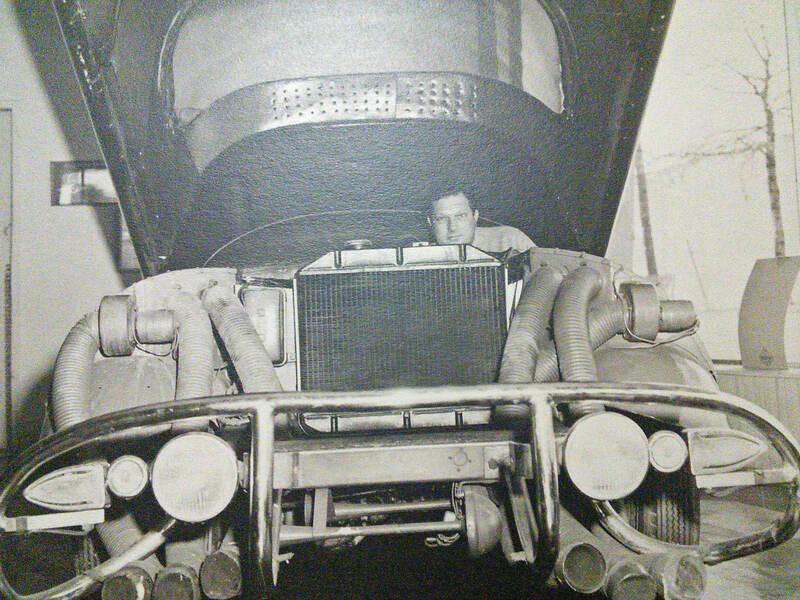 Harry C. Reynolds: "It was originally called the "Case Super Special Speedster" and later, "The Beast". After Case tired of it it wound up with Chuck Kotchan who painted it up in Grand Prix Motors livery. 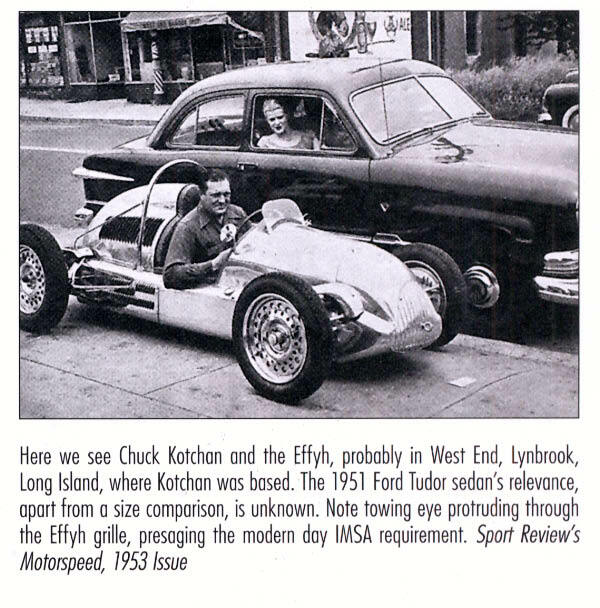 Chuck was the Effyh FIII car importer for the U.S. in 1951." Please send any potential Mystery Fotos to me at Howard@Kroplick.com. Other Views of "The Beast"
Being the huge Volkswagen fanatic that I am, I’m more interested in the Beetle in the background at the 16 second mark. 1951 is 4 years before VW of America’s inception, so seeing a pre-1955 Beetle in the U.S. was insanely rare. Not too sure that I’ll solve this week’s photo, but I have the weekend to try and figure it out… While at one of my accounts, I might have to ask Mr. Biener at Biener Audi if he remembers anything about this one. Him and the Biener family were huge in local racing circles in the 40’, 50’s and 60’s. Plus, Grand Prix Motors was just a few doors down from his Pontiac dealership in Great Neck. The images of the Beast tow car at Bridgehampton are great. I’d love to know more about it because I now have an Effyh. (Mine was made in 1953, so it’s not the one raced by Fitch in Bridgehampton—but there were only about six of them in the US.) I’ll have to bring it out to Bridgehampton sometime. Howard, but think the original owner was Herb Shriner…the car was later used to promote a North shore Long Island car dealer. 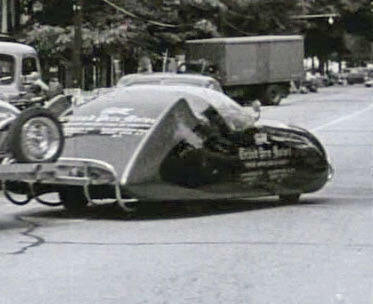 It also appears in opening frame of your 1951 Bridgehampton road race film, doesn’t it? 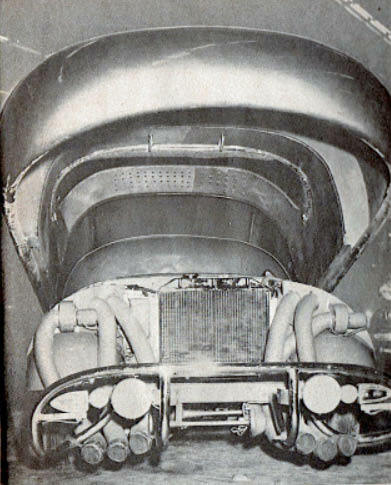 The Grand Prix Motors tow car is based on Jeep parts. The Effyh race car is Swedish. As to the remarks about VW bugs - 2 were imported in 1949. I am guessing Hoffman had something to do with it. One was turned over to the Metals Division of Dow Chemical Co. The metals VP and his son [now 82 years old] went to NYC and drove it to Michigan. I was 10 when it arrived and sat in it in the VP’s garage. Dow used it for research and about 1954 sold it to a Division salesman. He had a newer engine put in it and later trade it in on a new Bug. The Michigan-Ohio-Indiana VW Zone office took it. They located the second one being used as a chicken coop. It still had the 1949 engine. The 2 cars were combined, restored and used for VW displays at auto shows. Hoffman had looked them over and thought they had no future in the American car market. The German government offered VW to Henry Ford and he thought the same. 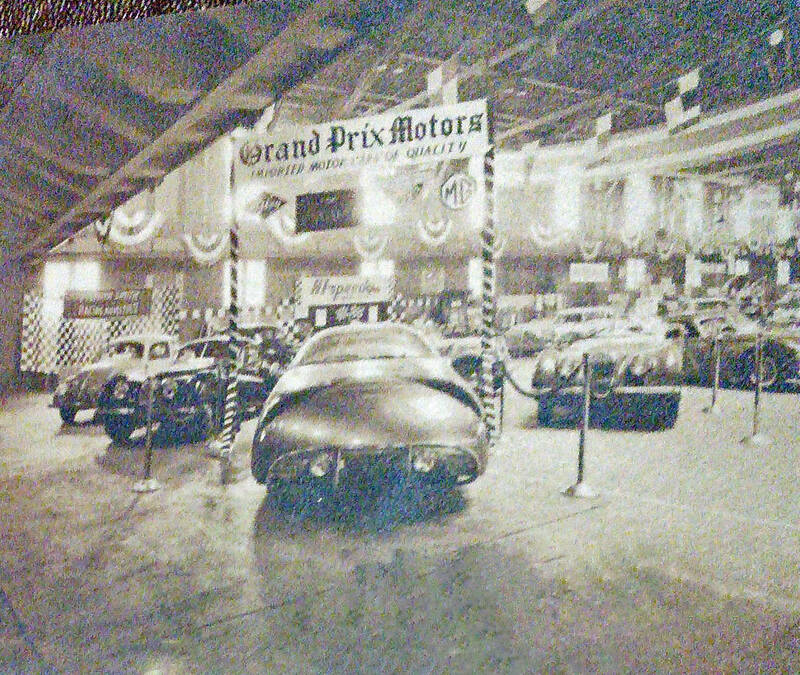 When I first saw this picture a couple of years ago I asked the owner of Grand Prix Motors, Westbury Jeep Chrysler, if they had any records or photos of this vehicle. They looked in what they had of Grand Prix’s records from back them but nothing came up. They were just as curious as I but no info was available. I’m especially interested to know if it’s sitting in a barn somewhere! 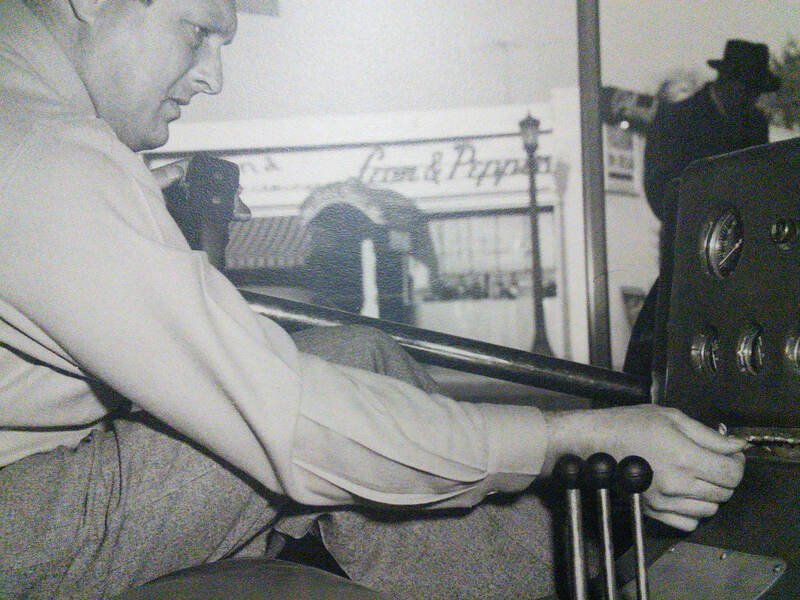 That EFFYH was driven by Fitch in the first race at Bridgehampton in 1949. It was later reconfigured by Tim Wood of Harvey’s Lake, PA for his own BrynfanTydden races with a Norton Manx motor. It is currently in England and is a hopeful for Goodwood next year. I’ll look up the original race entrant (the owner of the tow car who hired Fitch to drive the Formula 3 to a DNF) soon after the Bridgehampton rally celebration on Oct.11 which will be featuring race cars this year. Grand Prix Motors. I have sent some further photos to Howard Kroplick of Chuck with “The Beast” which may be of interest to your readers. I will try posting additional photos at a later date. Simon, please DO post more photos of Chuck Kotchan. He’s my DAD!! I’ve only seen the photo of him sitting in the Effyh, but the Beast photos are amazing. Robin K. my name is Roger and I am doing some research on the Beast for Barbara. Her father was Russel Case the original owner and builder of the Beast. As a child when he built it was called the Bullet by the kids. So Russ sold it to your father in like 49’ or 50’ time frame. Guess what we are trying to find out is where the car ended up. We see the photos of the Beast being used as a tow vehicle for that beautiful little racecar. Thank you in advance, Roger.